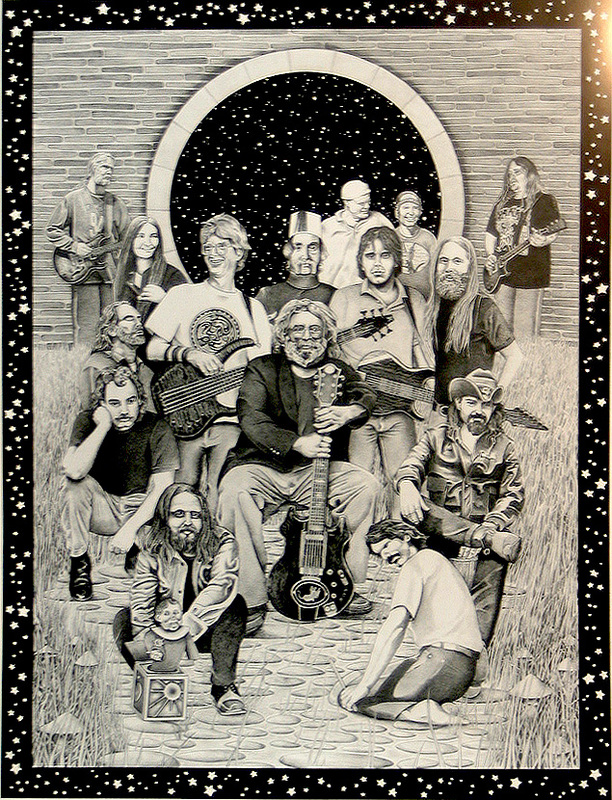 “It was a sort of folk/pop/rock jam session in which she invited musicians in to play on air into the wee small hours… Gert spent lots of time in small informal venues, making notes on musicians she might invite onto the show. 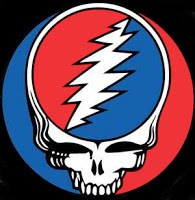 A couple of guitarists she heard at different gigs—a lead and a bass—struck her as a pair of musicians who might play really well together and so she suggested they come and work something out. 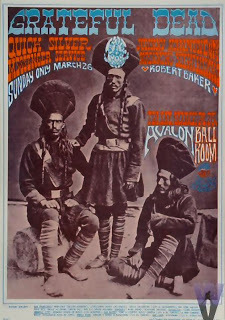 It was all informal, nothing to be planned or rehearsed. Those two musicians were Phil Lesh and Jerry Garcia. 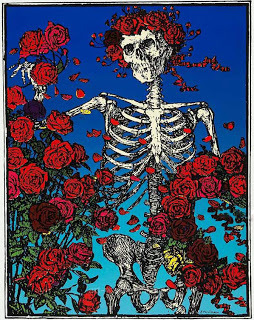 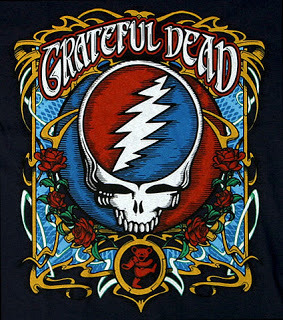 With the exception of Ron “Pigpen” McKernan (keyboards, harmonica, vocals) who died in 1973, the founding members of the Grateful Dead – Jerry Garcia (guitar, vocals), Bob Weir (guitar, vocals), Phil Lesh (bass, vocals), and Bill Kreutzmann (drums) stayed together for its entire 30 year history. 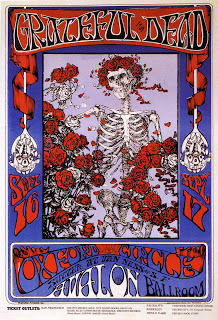 In September 1967 Kreutzmann was joined by a second drummer, Mickey Hart. 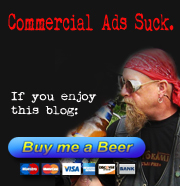 Several other musicians rotated through the band during its long history, and a number of them met untimely deaths due to drug and alcohol abuse. 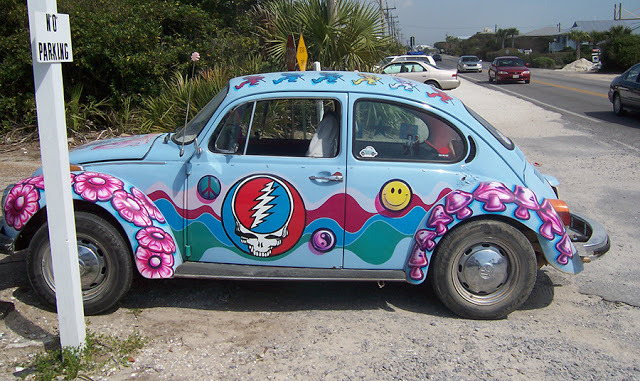 After Pigpen’s death in March, 1973 from alcohol abuse Keith Godchaux took over on keyboards, but he was asked to leave in 1979 because of drug addictions: Godchaux died in a car wreck in 1980. 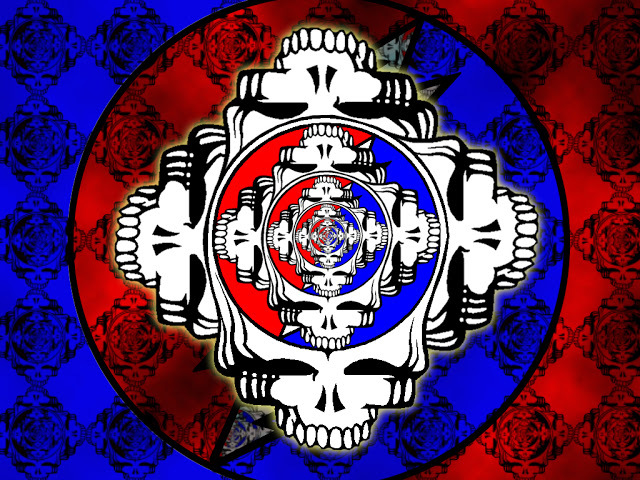 Brent Mydland followed him, playing keyboards with the band for 11 years before he died from a narcotics overdose in 1990. 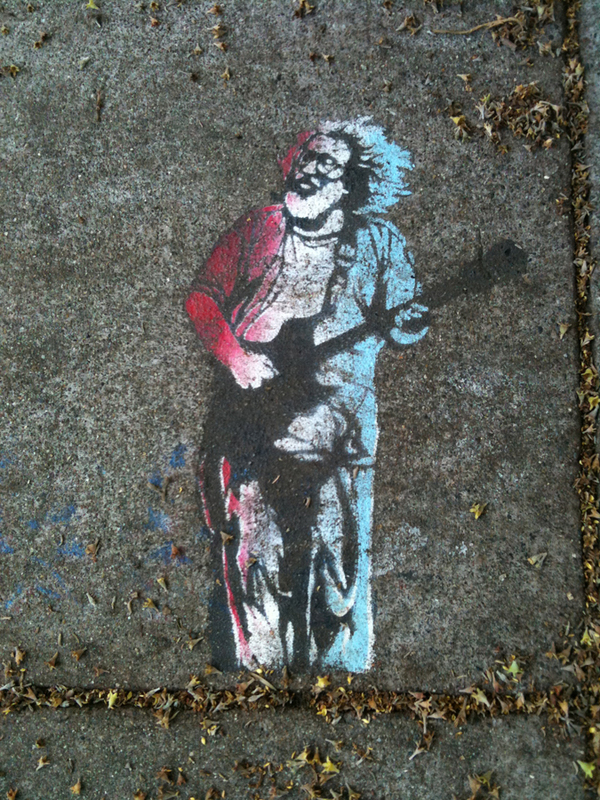 When Jerry Garcia himself died of a heart attack in August 1995 it signaled the end of an incredible trip; because for a surprising number of people the Grateful Dead wasn’t just a band, it was a lifestyle and something very nearly approaching the status of a cult. 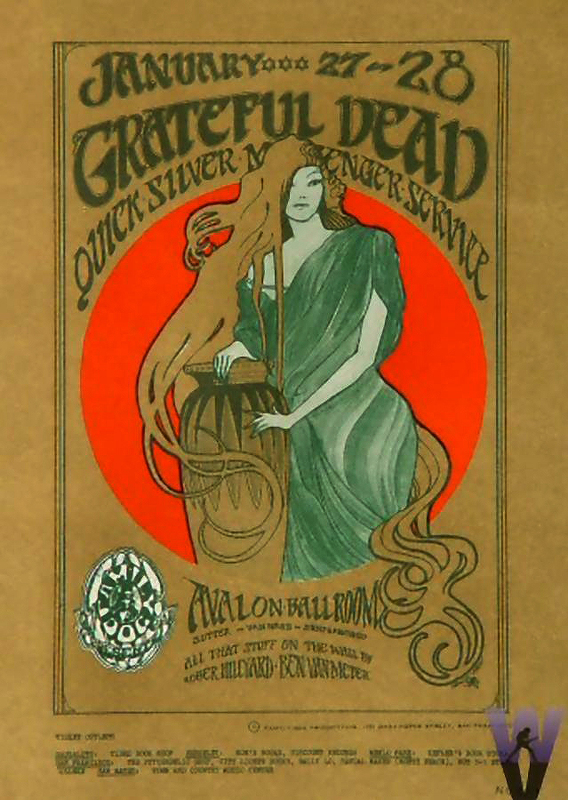 of their playing, no two Grateful Dead concerts were exactly the same. 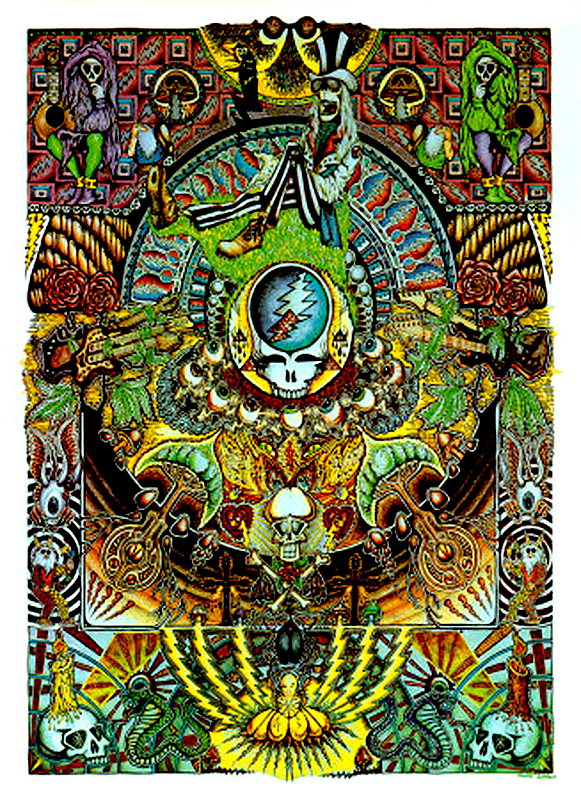 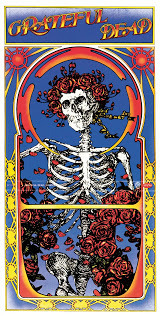 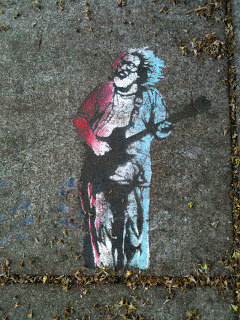 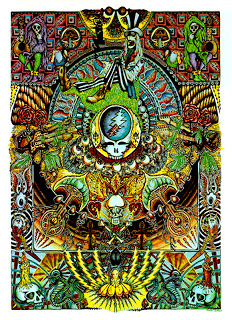 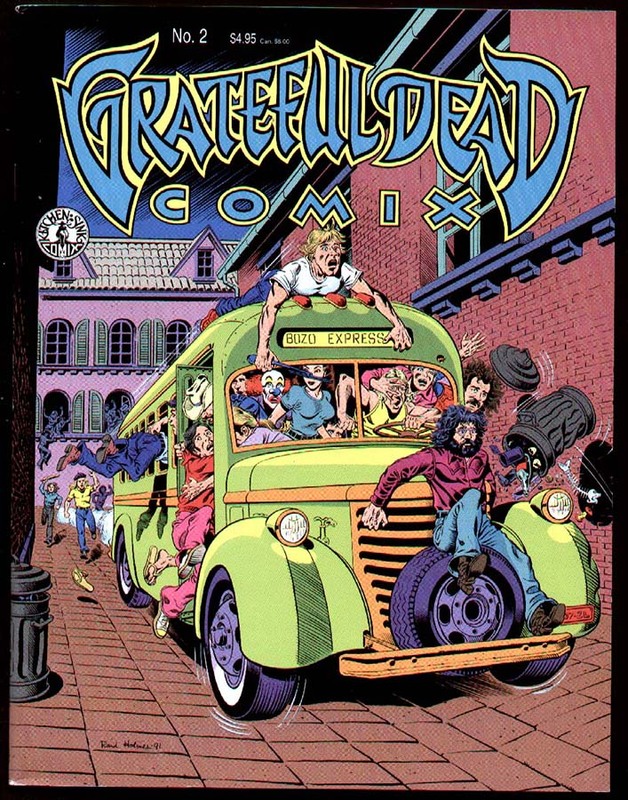 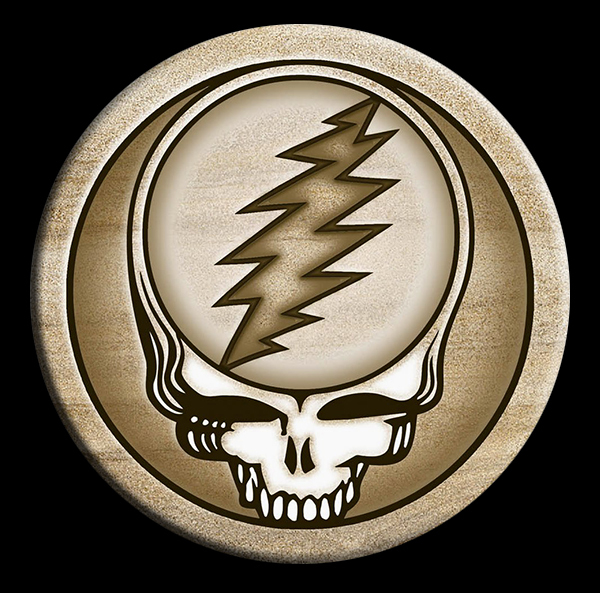 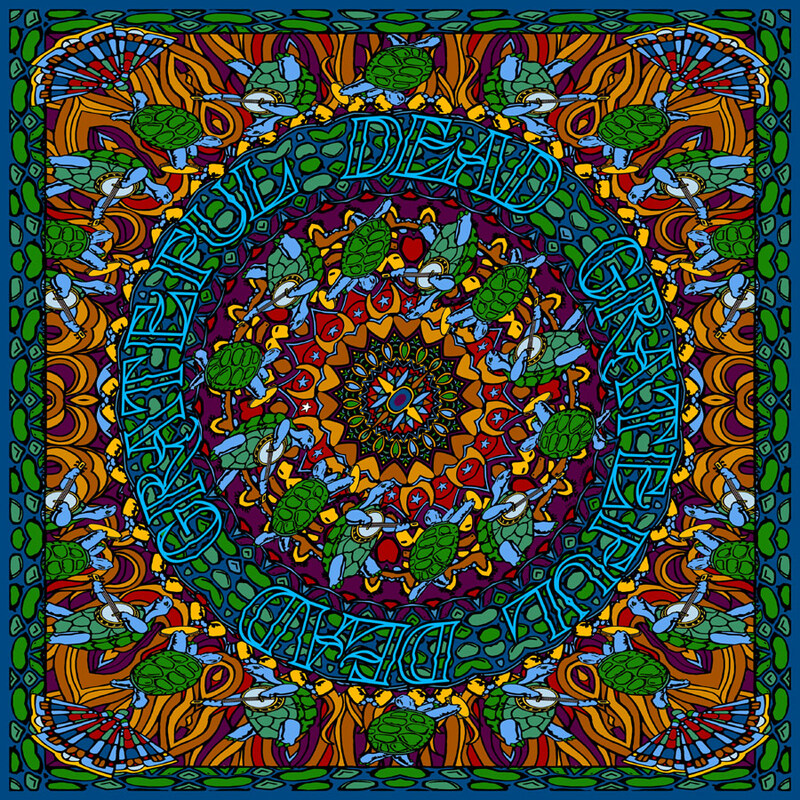 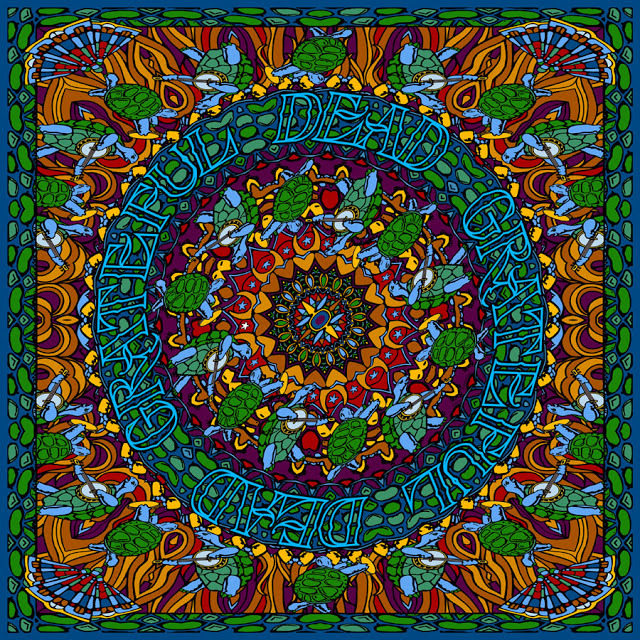 A community began to develop around these tours, and the “Deadheads” started various micro-businesses to support themselves, mostly focused around arts and crafts or portable kitchens.Figures are elusive, but at least one estimate placed the Deadhead community at “a half million members” in 2002: seven years after the death of Garcia. 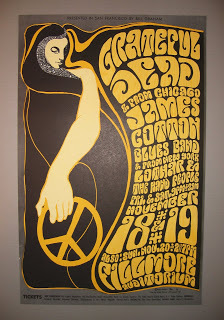 The band had a definite influence on many underground artists of the era, although it may be an overstatement to suggest that they had much impact on the broader world of visual art. 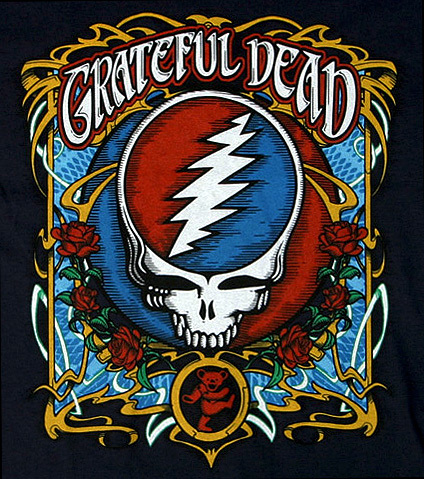 Nonetheless, there are certain iconic images associated with the band which are still widely recognized, and it’s difficult not to attribute the popularity of tie-dyed clothing directly to Deadheads. was a huge success and basically became the unofficial band logo. 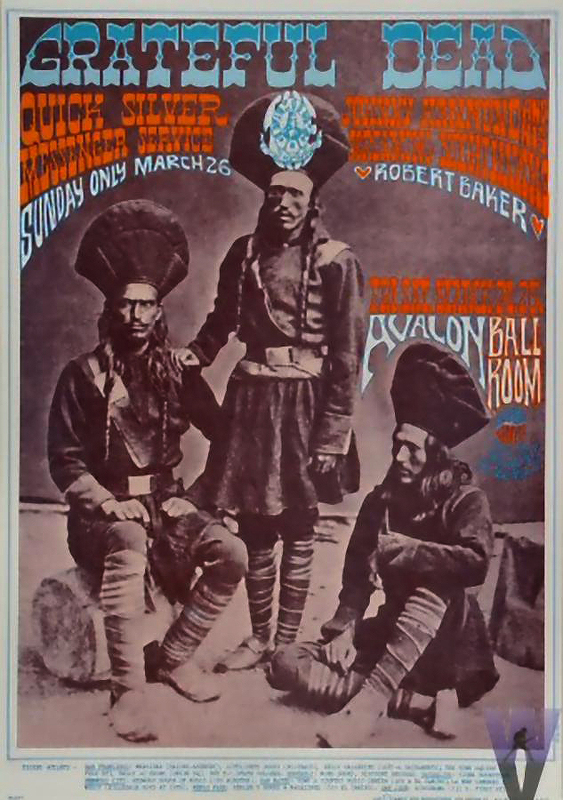 Avalon Ballroom and was later used as the cover for the album Grateful Dead. 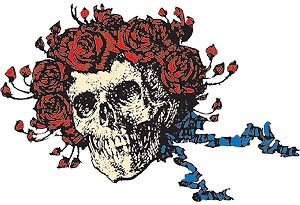 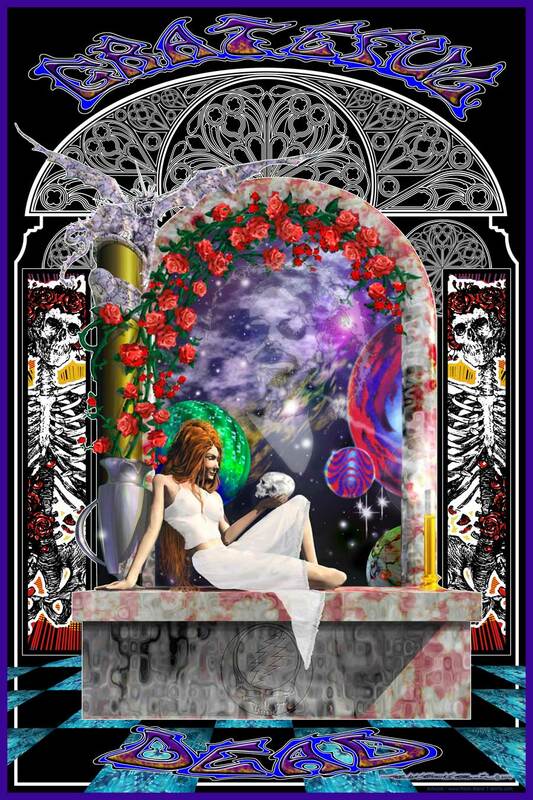 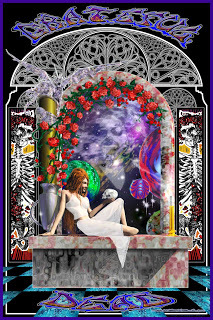 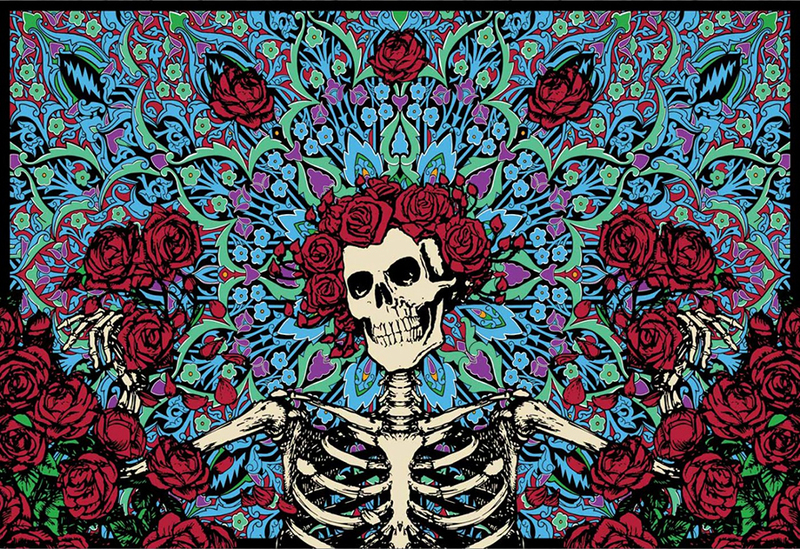 The album is sometimes referred to as Skull and Roses (or Bertha). 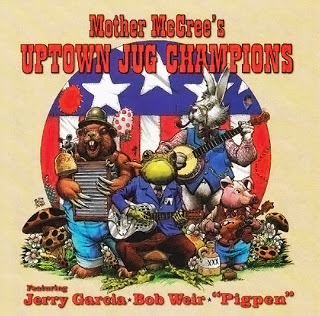 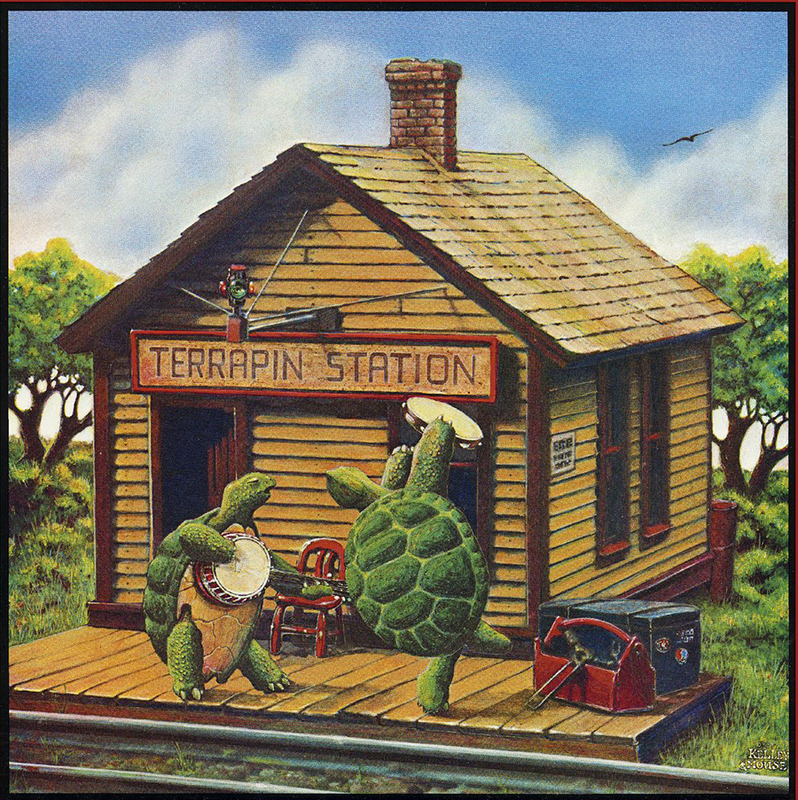 The two dancing terrapins first appeared on the cover of the 1977 album Terrapin Station, which was also drawn by Kelley and Mouse. 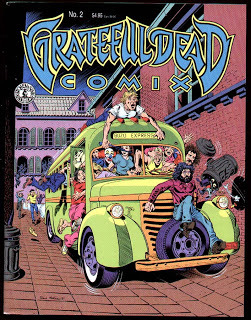 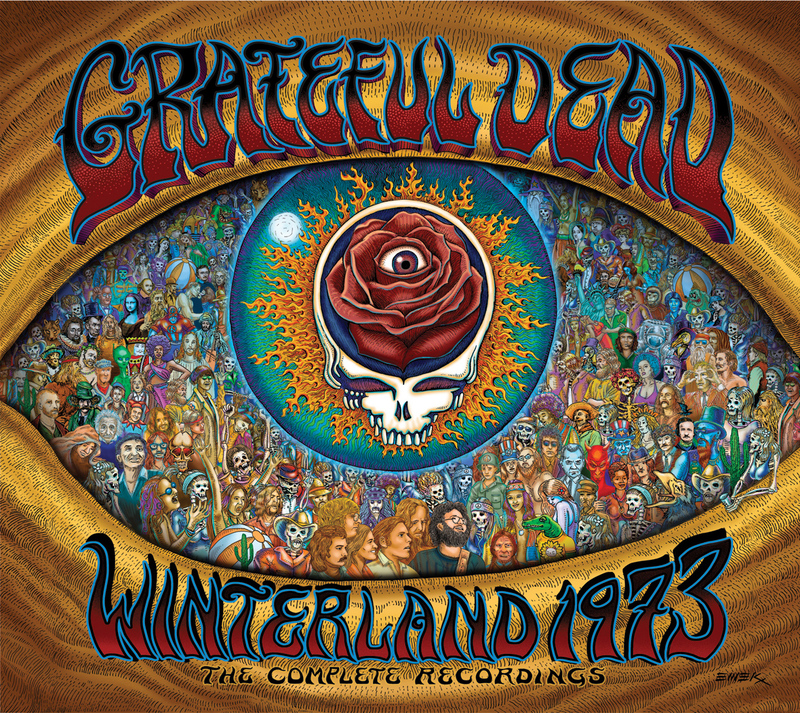 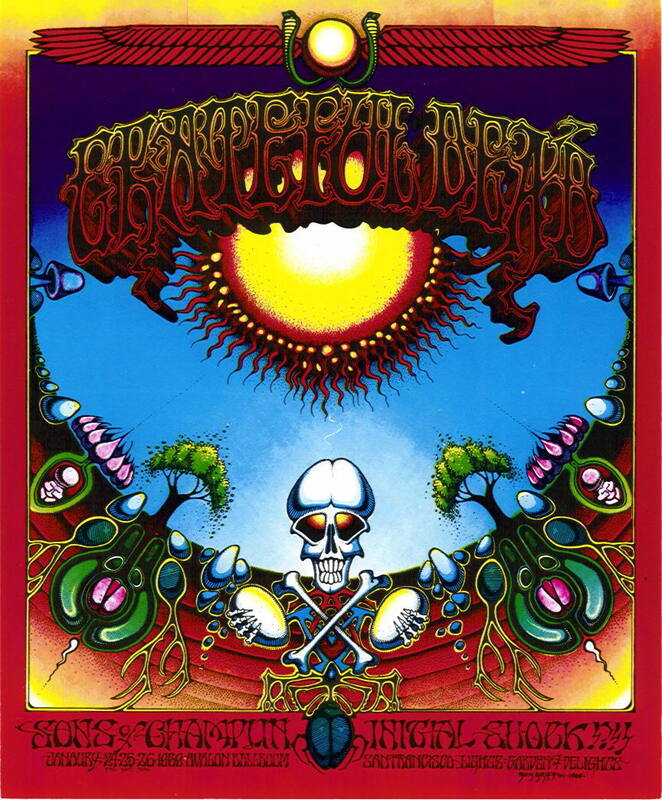 The Dancing Bears, which were a reference to Owsley “Bear” Stanley, came out as part of the back cover art on History of the Grateful Dead, Volume One (Bear’s Choice) (1973) and were drawn by Bob Thomas. 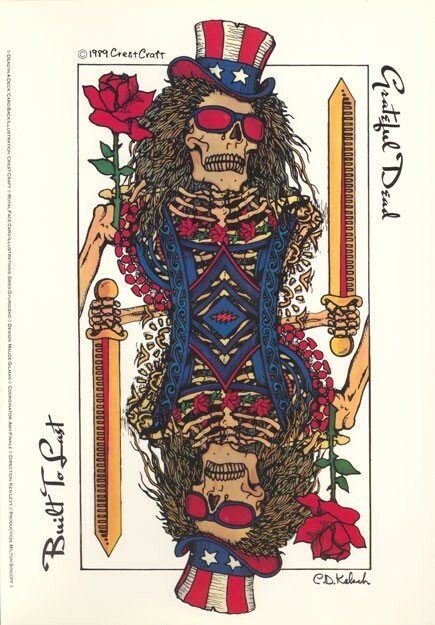 The fuzzy, smiling teddy bears were a sharp contrast to the band’s usual death motif and was widely embraced by a younger fan base who came of age in the late 1980’s and early 1990’s. 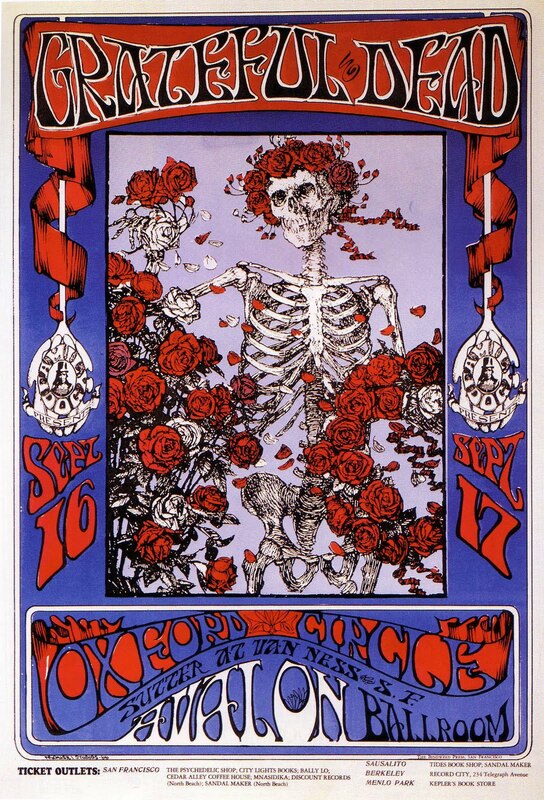 band’s concerts. 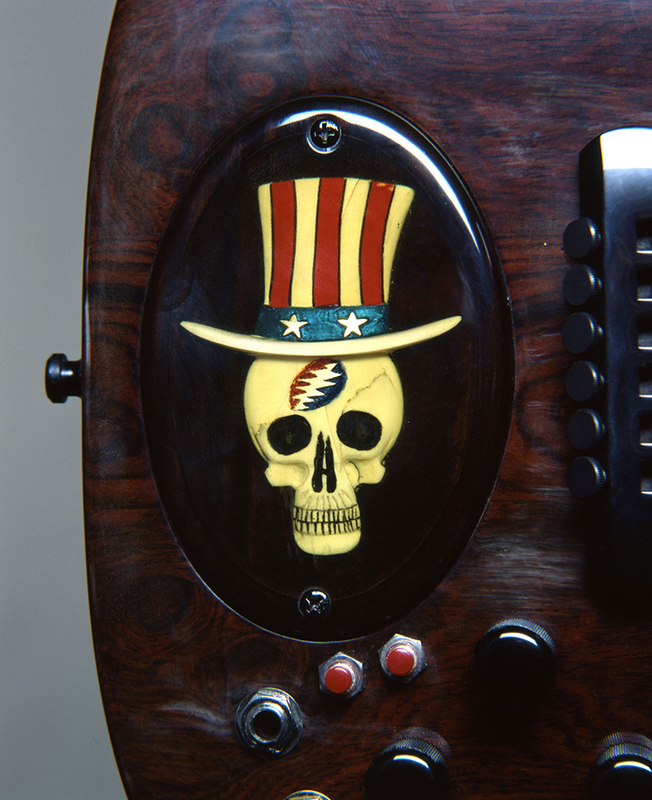 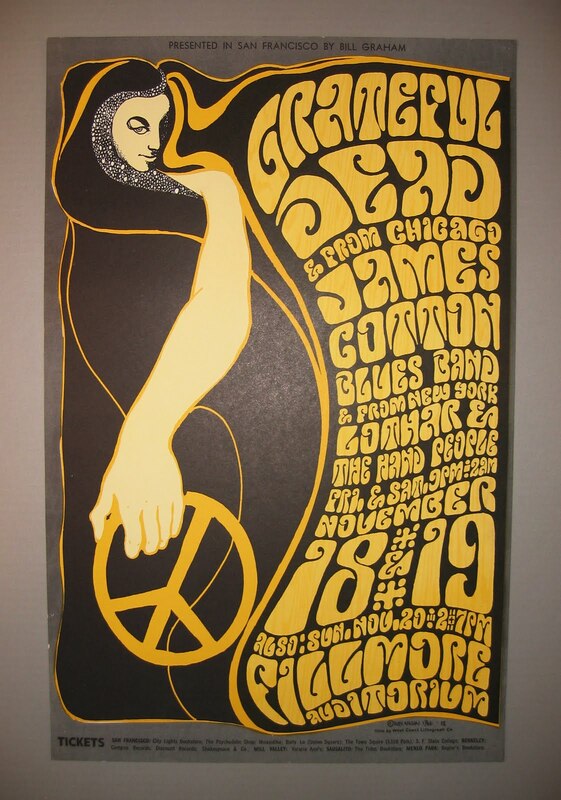 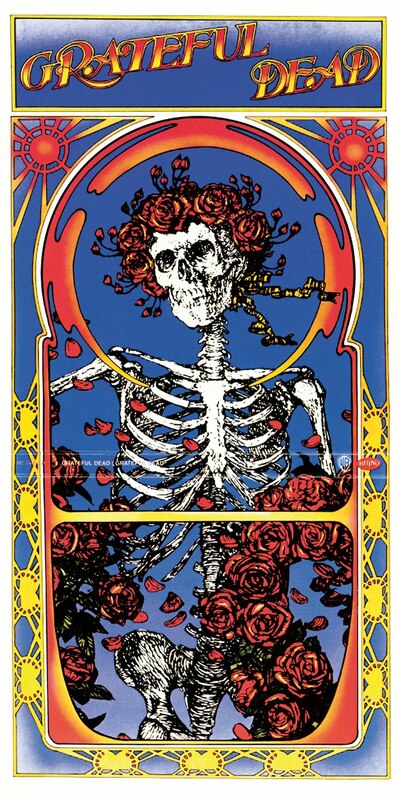 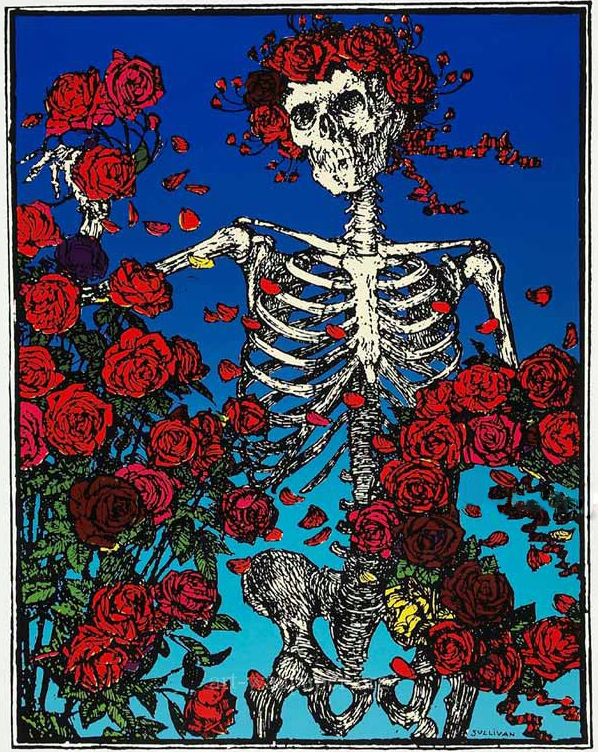 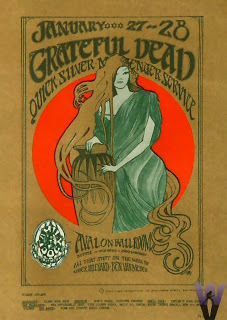 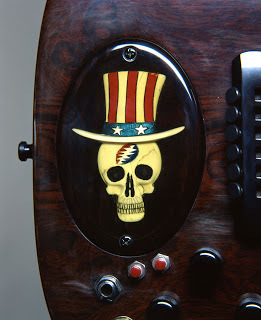 The first large-scale exhibition of materials from the Grateful Dead Archive was mounted at the New-York Historical Society in 2010. 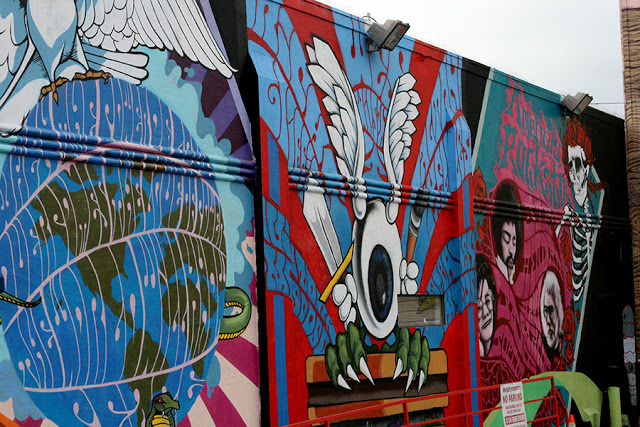 The archive itself is reported to be opening to the public in the Spring of 2012.